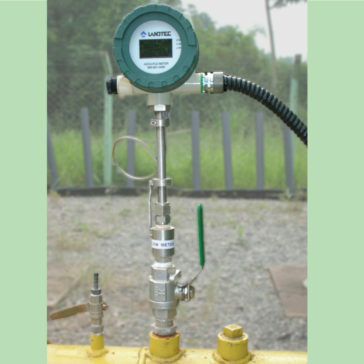 The SEM5000 Portable Methane Detector is the ideal instrument for landfill surface emissions monitoring, reporting and detecting potential leaks at wellheads and surface penetrations. Thanks to our patented laser technology, the SEM5000 is selective, specifically to methane and is able to detect methane emissions from 0.5ppm to 100% concentration. 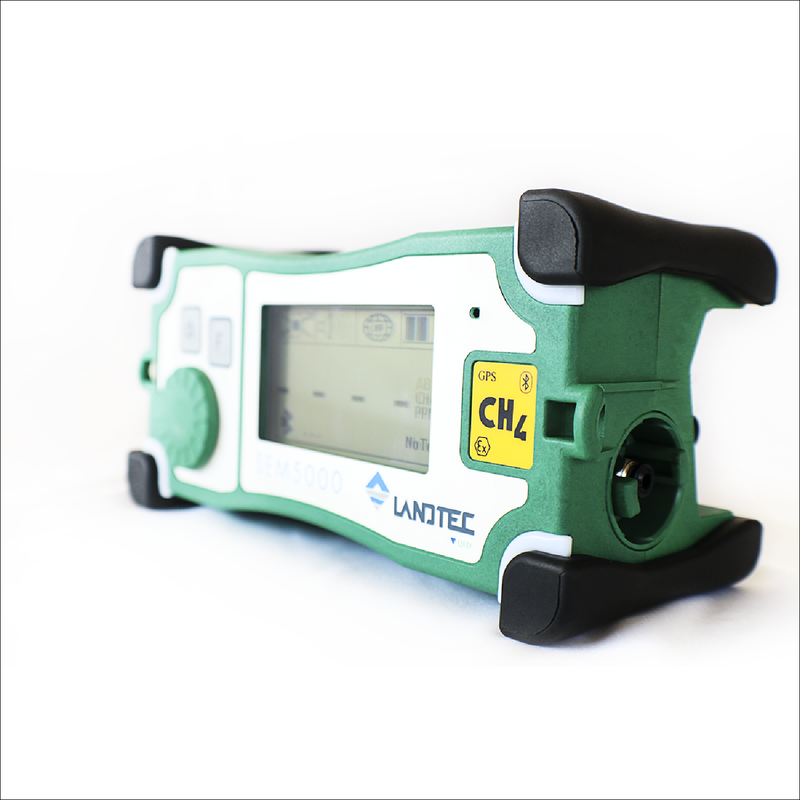 The SEM5000 is ATEX Zone 1 certified and meets all Method 21 requirements, making it the perfect tool for regulatory compliance. The SEM5000 is lightweight and ergonomically designed for hours of hands-free operation. The single selector dial design makes it easy to use and understand. 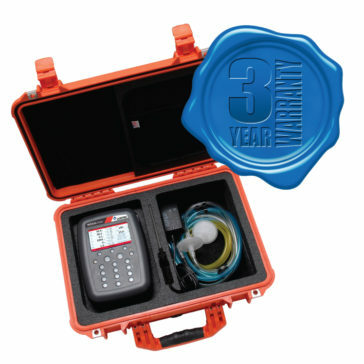 The SEM5000 has an audible alarm and LED warning lights and features integral GPS and Bluetooth in a single unit. 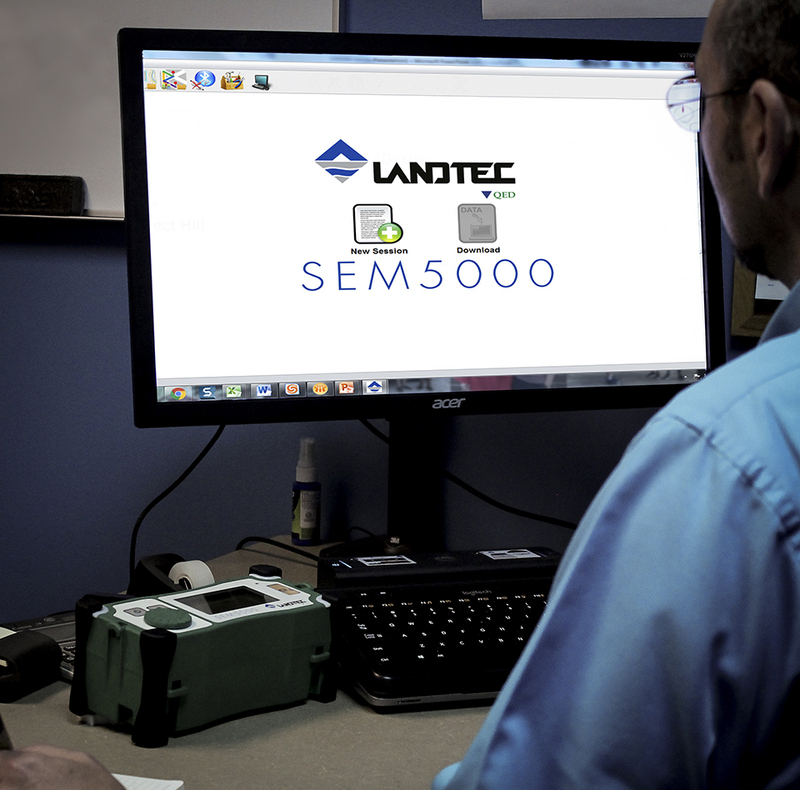 The SEM5000 helps you perform your scans quickly and efficiently. 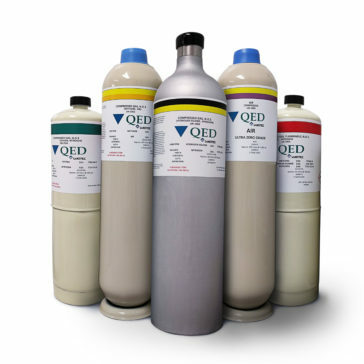 Since the SEM5000 uses laser technology, there is no flame or risk of flame out. So, no time is wasted trying to relight the flame before your work can continue. 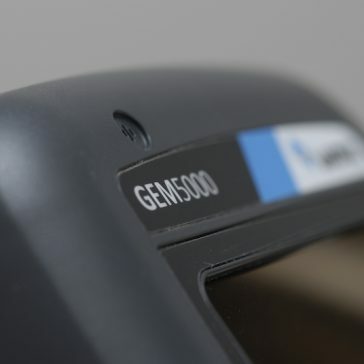 The SEM5000 features a “Hot Swap” battery, allowing you to swap your battery with a fresh one and keep working without having to wait for the device to charge. Warm up time for the SEM5000 is 30 to 60 seconds and daily calibration is not required. 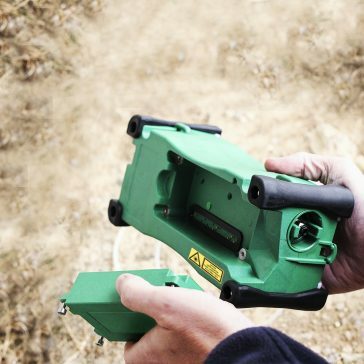 The SEM5000 also makes reporting easy and thorough. 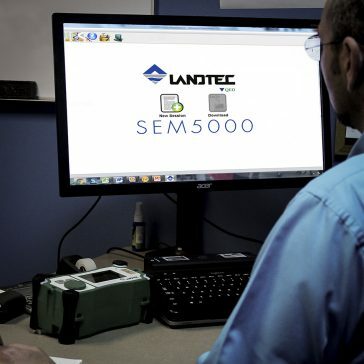 During a scan event, the SEM5000 automatically saves a reading every second and stamps it with the date, time, GPS coordinates and methane concentration. Save intervals can be adjusted to meet customer needs. The auto-save function can also be disabled, allowing the user to save readings manually. Our user-friendly SEMsoft software package provides multiple reporting options. 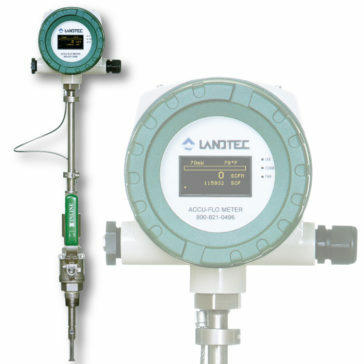 It auto-populates standard Background, Precision and Instrument Response Time reports. Scan data is reported in an easy-to-use CSV format. SEMsoft also provides options for individual exceedance reports. SEMsoft also allows you to upload site maps, for recording and accessing historical scan data specific to your site. Scan paths and color-coded event points can be layered on top of your site map, allowing you to monitor potential problem areas. Our online Site Weather Tool allows for easy and accurate reporting of weather conditions for your SEM event. 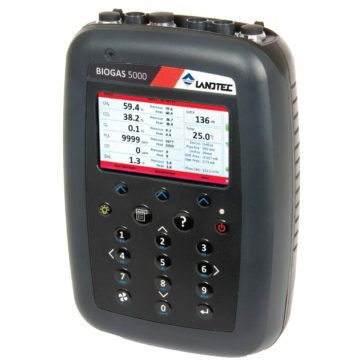 The SEM5000 is the ultimate, all-in-one, easy-to-use solution for surface emissions monitoring, reporting and compliance. 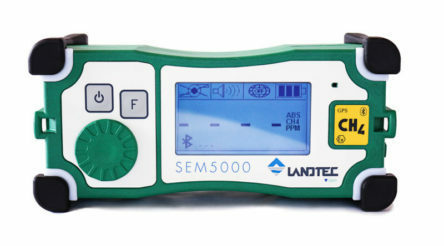 The SEM5000 Portable Methane Detector is the ideal instrument for landfill surface emissions monitoring, reporting and detecting potential leaks at wellheads and surface penetrations.